In many parts of the U.S., solar is becoming a more popular renewable energy source used to power the home. Not only can it help you reduce your energy bills, it may also add to your home’s value as well. Although the days are getting shorter and snow is falling in many parts of the country, the best time to think about and plan for a future solar purchase is now. 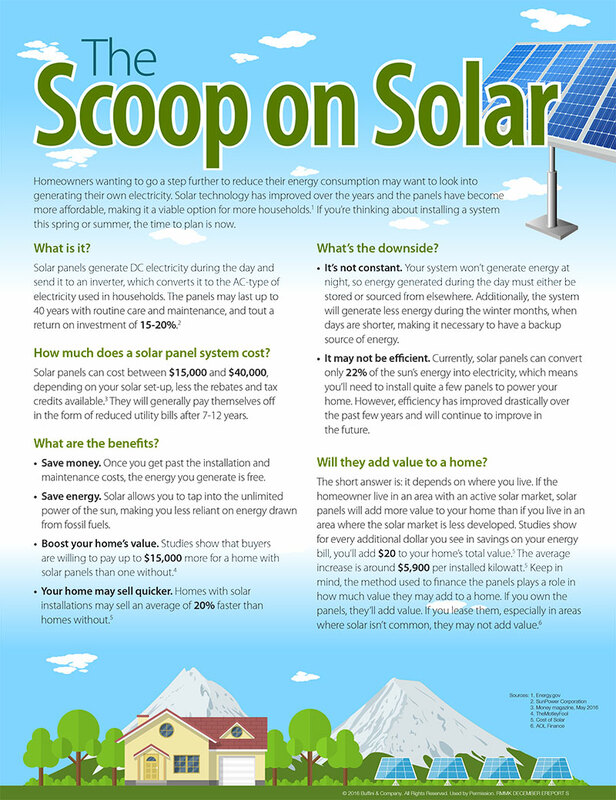 The information below outlines the basics of solar.